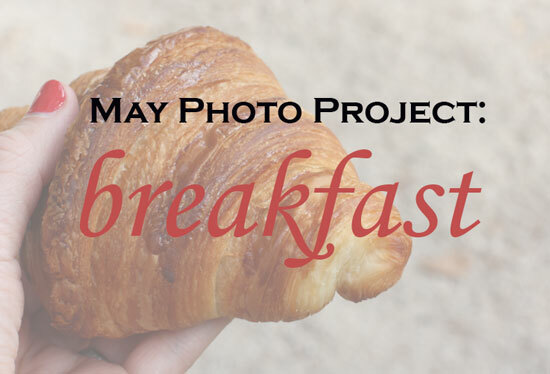 The theme for this month's photo project is breakfast. Y'all know I can't resist a good breakfast or brunch photo. I want your everyday oatmeal, your Saturday morning pancakes, whatever you're enjoying in the morning. I'll share the results on Friday, May 31st. If you want to email me your photo and information in advance, I'd love to highlight images from some of you. Send it to: southernhostess[at]gmail.com. I can't wait to see the results! In all seriousness - count me in! Yes. Breakfast is so good. I'm really pumped for the photos this month! Count me in! I am with wendy--Bacon. :) Seriously though--fun topic! my fave meal of the day! great choice. I can only imagine how delicious these photos will be–I'll have to eat something divine before I check out May's images!